Few things hit the spot quite like a glass of freshly-squeezed juice. Healthy and nutritious, every sip refreshes in a way that does not compare to the stuff that comes out of a carton. Yet, convenience wins, and more often than not if juice is to be had, it will be poured from a half-gallon container. It doesn’t have to be that way. 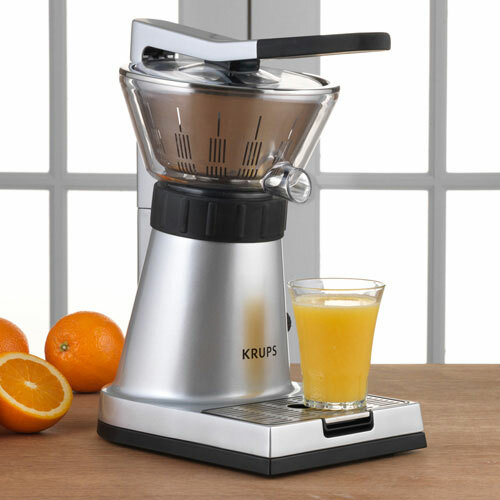 Offering the convenience of countertop accessibility, the Krups Citrus Press provides easy access to freshly-squeezed juice. Featuring a pour spout and a motorized lever, all that stands in the way of having fresh juice is a press of the lever. That and some limes, lemons, oranges or grapefruit to squeeze too, of course.